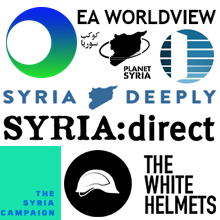 British Syrian groups across the UK strongly condemn Russia’s most recent attacks on Idlib in northern Syria on 20 December 2015, which led to the killing of over 47 civilians in the course of just a few hours. More than 8 rockets alone hit the main courthouse in the city causing enormous levels of devastation. The attack on Idlib is not only a breach of UN Security Council Resolution 2139 but also of a recent local truce between oppositionists and the Assad regime, whereby Idlib would not be bombed. The direct Russian intervention in Syria which began in September 2015 was justified through the need to get rid of ISIL. However, as numerous reports have shown, Russian forces are targeting civilian areas under the control of moderate opposition groups, while leaving ISIL-controlled areas largely intact. Evidence suggests that Russian involvement is helping, rather than impeding, ISIL advances. Russia’s actions are especially shameful given its role as a permanent member of the United Nations Security Council, through which it is obligated to act in good faith in upholding and maintaining international peace and security. Instead of playing an important role in forcing Assad to stop bombing civilians to make a political solution more attainable, Russia is instead intensifying the killing of civilians to empower the position of Assad. This will complicate any efforts to reach a political solution in Syria. Putin is repeating the criminal “scorched earth policy” which destroyed Grozny 15 years earlier and is applying this barbaric tactic in one of the largest civilian areas in northern Syria. In destroying infrastructure and taking countless lives for mere political ends, namely to keep a dictatorial ally in the eastern Mediterranean, Russia’s crimes are unforgiveable. The international community must pressure Russia in any way possible to stop targeting civilians and to label its actions as war crimes. 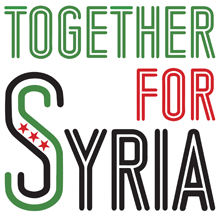 We recall that the key to achieving a political solution in Syria can only begin through civilian protection from indiscriminate attacks such as those perpetrated by Assad and Russia.